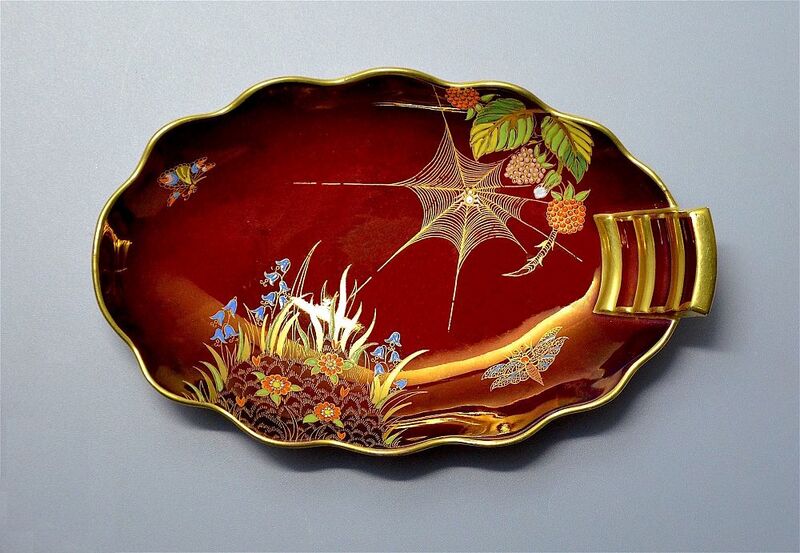 This lovely red lustre shallow dish was made by Carlton Ware in the 1950s. It is oval with raised & gilded scalloped sides and a gilded integral rectangular "handle" on one side. It is decorated with a gilded and raised jewelled enamel Spider's Web pattern comprising a gilded web with a white enamel spider in the middle suspended between a small spray of gilded and enamelled leaves and berries on one side and a spray of gilded and enamelled flowers on the other with two gilded and enamelled butterflies. 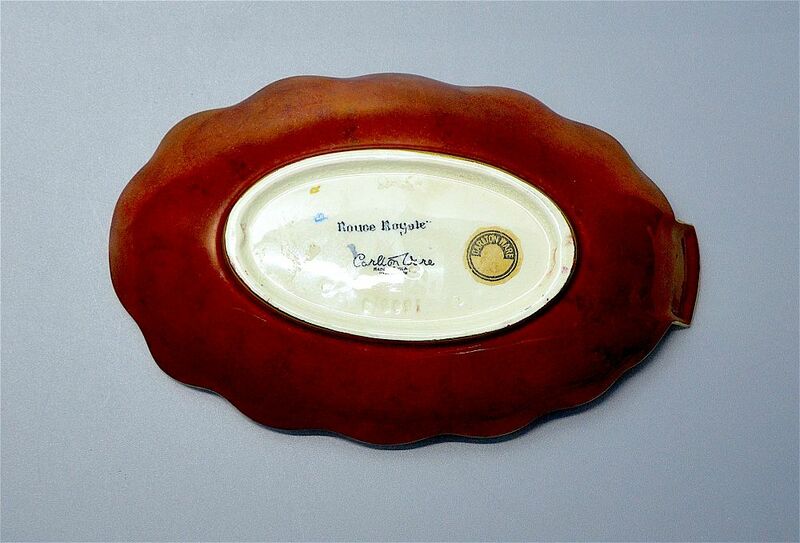 The base is marked "Carlton Ware Made in England Trade Mark" and "Rouge Royale" in black script with embossed numbers and an original cream and black circular paper label marked "Carlton Ware".